The Lumix S bodies are Panasonic’s most ambitious cameras to date, combining ten years of Lumix G evolution with the quality of a full-frame sensor and an existing mount providing access to native lenses from Leica and Sigma. The result is a new camera that’s arguably the most professional full-frame mirrorless to date, at least in traditional terms - there’s certainly nothing else like it in design and features. Most obviously the Lumix S is unashamedly large, closer to a pro DSLR in sheer heft than its mirrorless rivals and with build quality which feels the toughest in its peer group. Panasonic’s done a great job with the controls and ergonomics, while being careful not to skip any key features expected at this level but often missing from rivals. So you get a full-frame sensor with great quality stills and video, built-in stabilisation, the best viewfinder in the business, twin card slots, backlit buttons, unlimited 4k up to 30p (or half an hour of 4k 60p with an APSC crop), impressive object recognition and tracking, not to mention an interval timer, 6K Photo, a sensor-shift high-res mode and great wireless. What’s not to like? Not a lot as it happens. Sony remains better-suited for pro action with faster shooting with continuous AF and access to longer lenses, the battery life is ok but not as good as you’d hope for the size of the pack, and on a personal note I prefer a smaller body with a fully-articulated screen, but I equally realise others will prefer Panasonic’s approach. It’s also more expensive than its rivals, but I feel the overall feature-set justifies the premium. As the first bodies in a new system, the Lumix S is a tremendous start, confidently taking on the best of its current rivals with a unique feature-set. I’m impressed by Panasonic’s approach and look forward to putting the rest of the system through its paces. Check prices on the Panasonic Lumix S1 at Amazon, B&H, Adorama or WEX! Alternatively get yourself a copy of my In Camera book or treat me to a coffee! Thanks! The Panasonic Lumix S1 is a full-frame mirrorless camera with 24.2 Megapixels, built-in stabilisation and 4k 60p video. Announced in September 2018 and previewed in February 2019, it’s one of two bodies launched by Panasonic as part of its L-mount alliance with Leica and Sigma. The L-mount alliance is a partnership between Leica, Panasonic and Sigma to develop cameras and lenses based on Leica’s existing L-mount. 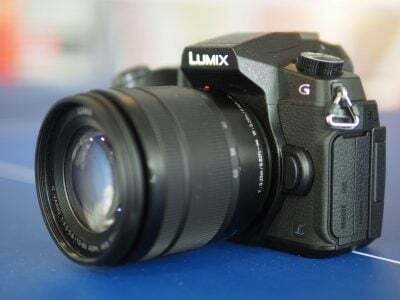 Panasonic says it will continue to develop Lumix G Micro Four Thirds products alongside the new full-frame Lumix S system. Following several preview shoots with early models, I’ve now had the chance to spend quality time with final production samples of both bodies and in this review I’ll concentrate on the more affordable of the two: the Lumix S1. I’ve filmed and presented an in-depth video below demonstrating and analysing all the new features, as well as comparing the quality between the two Lumix bodies and against key rivals including the Sony A7 III. I’ve also included written excerpts from the video below if you prefer to read than view! 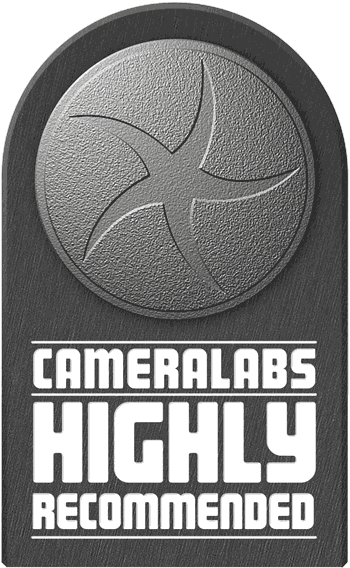 Is this the most professional mirrorless system to date? Find out in my full review! From July 2019, you can buy a firmware update that allows the S1 to record 10-bit 4:2:2 internally up to 30p, or output 10-bit 4:2:2 over HDMI up to 60p, as well as supporting the flat V-log profile. To make the most of this, connect an external recorder to the S1 like the Atomos Ninja V here. This update is a key benefit the S1 has over the S1R. Ok, now for a face tracking test where you can see the S1 employing face and eye detection where possible, then reverting to body detection when it can’t. You can also see how well the camera’s tracking me with the shutter half-pressed, with the green frame indicating I’m in focus. And finally a burst at the top mechanical speed of 6fps with continuous autofocus and live feedback. In this sequence with the 24-105mm at 40mm f4, about 80% of them were perfectly focused with a handful of the closest ones being a little soft. I then tried the S1 for wakeboarding, using the zoned area with the 24-105mm at 105mm f4. In this sequence of 20 shots, the S1 managed to keep the subject in sharp focus in all but one of the frames when shooting at 6fps with AFC, and checking the timestamps afterwards confirmed it really did fire six frames per second. So a good result here, albeit not at a particularly demanding speed or focal length. Next up, Brighton’s seagull population in flight, again using the 24-105mm because that’s the only lens Panasonic supplied for testing, at 105mm f4 and with zoned areas. In these sequences the S1 did a fair job with these more unpredictable subjects, delivering a decent hit rate at its top speed of 6fps with AFC – and again I confirmed the speed using timestamps afterwards. I feel confident that my tests so far with fairly modest action and lenses are well within the S1’s capabilities, but I’m looking forward to retesting it in the future with a longer lens and more demanding subjects. 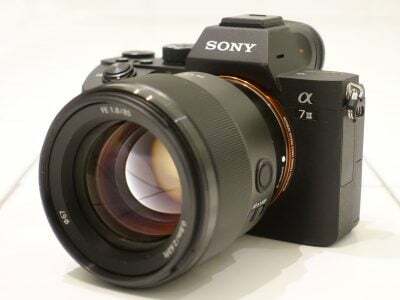 What is certain though is the S1 won’t shoot faster than 6fps with continuous AF, so if you want a quicker full-framer for action use, aim for the Sony A7 III which I’ve successfully used to photograph birds in flight at 8 to 10fps using 400mm focal lengths. Plus those longer lenses are already available for the Sony system if you need them. If you prefer to manually focus, the S1 allows you to adjust the focus ring control on the lens. Like most mirrorless cameras, it’s a motorised fly-by-wire system which operates in a non-linear fashion by default. This means the manual focusing speed is proportional to the speed at which you turn the ring. You can see it here with magnified assistance and focus peaking, first slow then fast where it’s hard to nail the focus. Videographers in particular prefer a linear system which mimics a mechanical couplings based on angular rotation rather than speed. Not only does the S1 offer a linear manual focusing mode, but also with the choice of angular range. 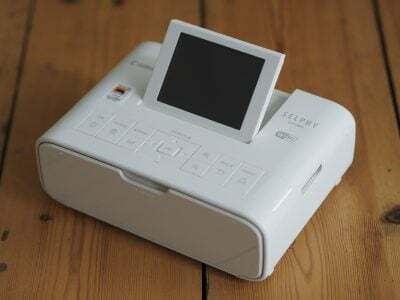 Here’s how it looks set to 360 degrees, where it feels much more natural, intuitive and accurate to manually pull focus. And now at 90 degrees which may be much faster, but still allows you to more accurately focus compared to the non-linear approach. So a big thanks to Panasonic for including this on the S1. Above: The Lumix S1 can record unlimited 4k up to 30p while power and memory remain, but how long can you expect in practice? Here’s an uninterrupted 4k 25p clip I filmed on a 64GB card which reached 1:29:23 before the card filled and the recording stopped; at this point the battery had 44% remaining and the body felt barely warm. I reformatted the card and started again immediately, filming a further 1:17:33 before the battery ran out. At this point I’d recorded over two and three quarter hours of 4k 25p on a single charge and at the end of it the camera still only felt barely warm. Oh, and Teletubbie Po is demonstrating the face and eye detection in movies with the crosshair indicating the eye position.